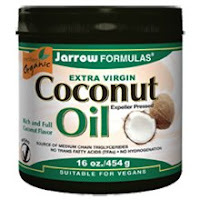 I have used organic coconut oil for most of the above mentioned uses. One that stuck out to me is how it's good for pets. I just recently started adding some to my older dog's water bowl and have noticed he has much more energy than before. I have also heard Coconut is a good oil for 'oil swishing'. (Improves dental / gum health, and supposedly purifies the blood/body, etc? Google the term to learn more. Other oils used are EVOO, Sesame Oil, Sunflower Oil.